For us those of us living in high humidity climates moisture can become a problem for our hundreds of dollars of camera equiptment. Significant moisture in the air can impact equipment in many of ways. Not all cameras have the same weather protection and rubber seals as many professional camera bodies. Most cameras lack this type of protection increasing the risk of catastrophic equipment failure if exposed to too much moisture and humidity. It is said that camera equipment should be kept an no greater than 45% humidity here in NZ we get upwards of 85% humidity in the winter. below is a list of way to help reduce the risk of moisture damage. In the perfect world we would all own a Dry box to store our equipment, these range from hundreds of dollars to thousands of dollars and are the most effective way of keeping your gear moisture free. I keep a good handful of these in my camera bags to help keep moisture under control, it’s impossible for these small sashays to absorb all moisture from our bags as we are in and out of our bag day in and day out but they do help. I store my year in a draw with a container of Damp Rid to help collect any moisture that may surround my equipment. At NZ$ 11 a very cheap way to help protect my gear. If we could have one lens that did it all as well as a set of primes then we wouldn’t need to change our lens, I know it and you know it this is not an option. Try and keep lens changes on a damp humid day to the minimum. By keep your camera gear at the same temperature as the ambient temperature or allowing your camera to warm / cool to that of your shooting environment will aid to avoid fogging. 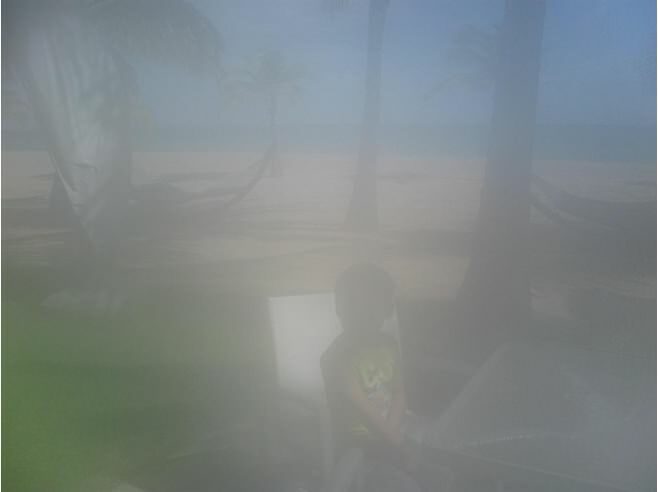 Fog can appear on the front or worse the rear of your lens (similar to that on your car window on a cold morning or on the mirror after a shower). If your gear is cold and brought into a warm and moist environment you will be likely to experience fogging so wait for your camera gear to warm up to ambient temperature in your bag before use. Regularly wipe down your gear to minimize moisture on your camera that might creep into unsealed openings of your camera body. I always keep a microfiber town in my bag to wipe gear down. Keep sensitive gear such as memory cards in zip bag or small airtight containers. Fogged lenses happen. If you’re in the field for an extended time lens clothes quickly become damp. If you are carrying your camera for a long period of time your hands will become sweaty this sweat can get into the buttons, when doable make use of your shoulder strap and let the camera hang. You are also far better off to cover up your camera with a plastic bag then cover it under your shirt if it rains because as your cloths on your warm body get wet a HUGE amount of moisture is released under your shirt. Dry your hands before changing batteries and CF cards. This will minimize introduction of moisture, inside the camera.